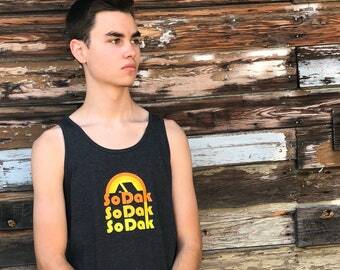 This SoDak muscle tank by Oh Geez! Design is going to be your new favorite! 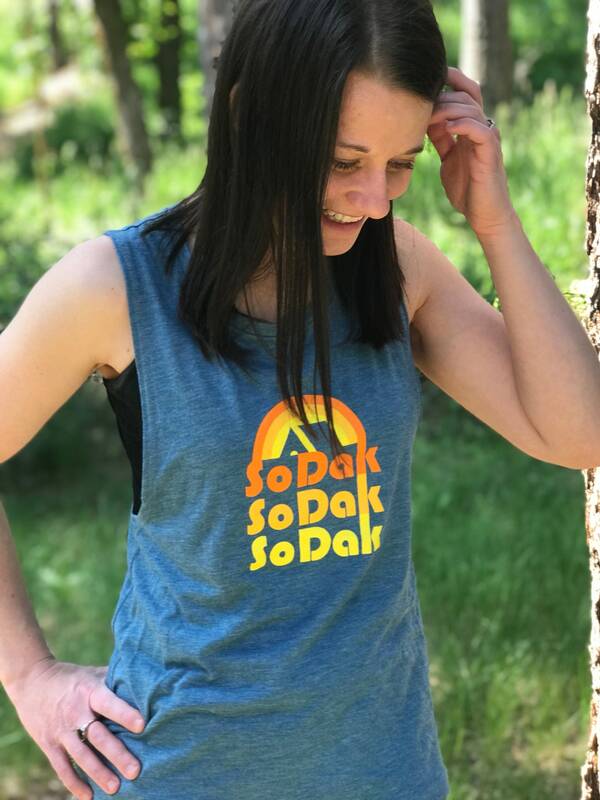 This South Dakota muscle tank is perfect for showing off your SoDak love! 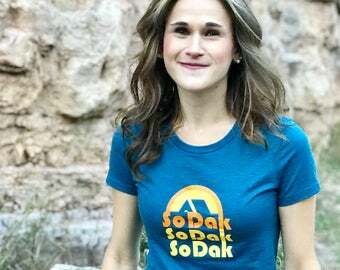 The tanks feature my SoDak retro camping logo, screen printed on the front with the Oh Geez! Design sun logo screen printed as a tag print on the back of the tanks. These tanks are a super soft, heather teal tri-blend muscle tank with a 50/25/25 polyester/cotton/rayon blend. 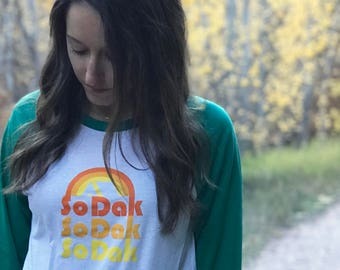 They are available in sizes Small through XL. They have a drapey, more relaxed "boyfriend" fit, with low cut arm holes. Contact me for questions or measurements on any sizes.